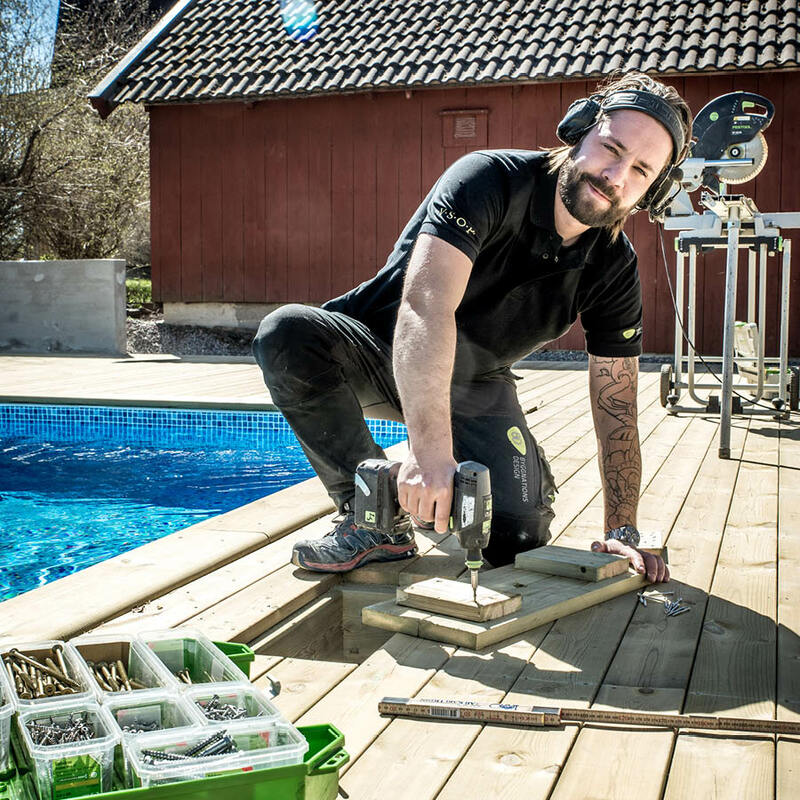 To successfully build a wood deck, it is important that to choose the correct screw. The wood, the size of the deck and the environment drive the decision. On large decking projects, the screws are impacted by large forces. That is why we recommend a longer and more powerful screw that can handle the stress. Choosing stainless steel screws ensures that the screws will be just as strong 10, 20 and 30 years from now. In the instructional film below, you will see the assembly process step by step. 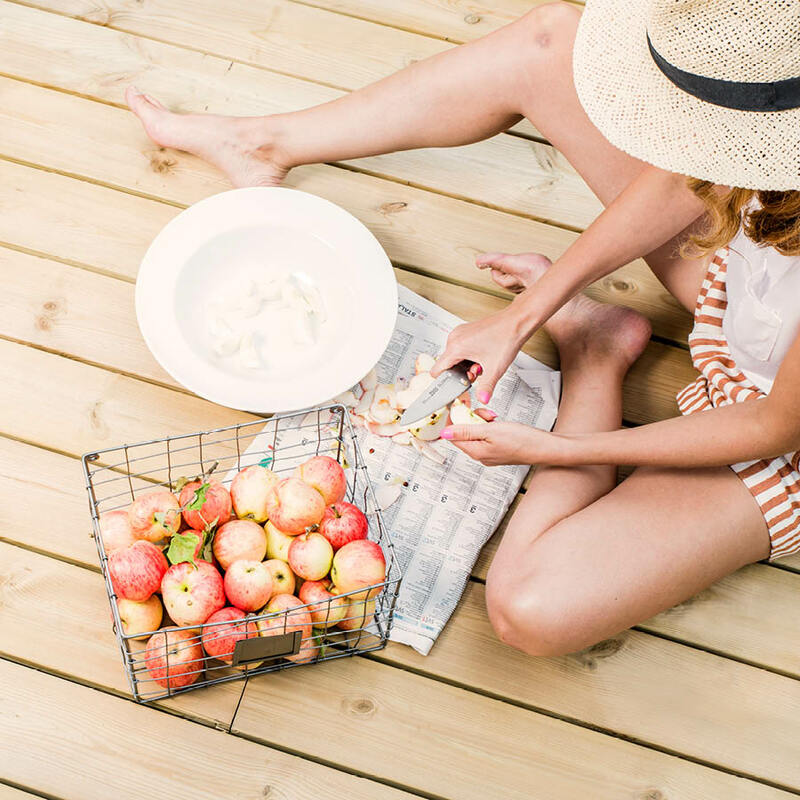 In the professional guide, you will find all the details of wooden deck designs. • WHAT are you going to build? • WHERE are you going to build? • HOW should it look? • WHAT wood do you want to use? • Are you going to build it by a POOL? For an approved assembly, always follow the wood suppliers' requirements for distance between the boards. To attach girders to brick facades that are load bearing is usually not a problem. If it's only a curtain wall, you need to know how much load it is built to handle. Mounting lower down is less risky. In some cases it may be better to attach the girder to the house’s structure. When installing in hollow stone, the facade plug must reach past the first cavity in the stone. 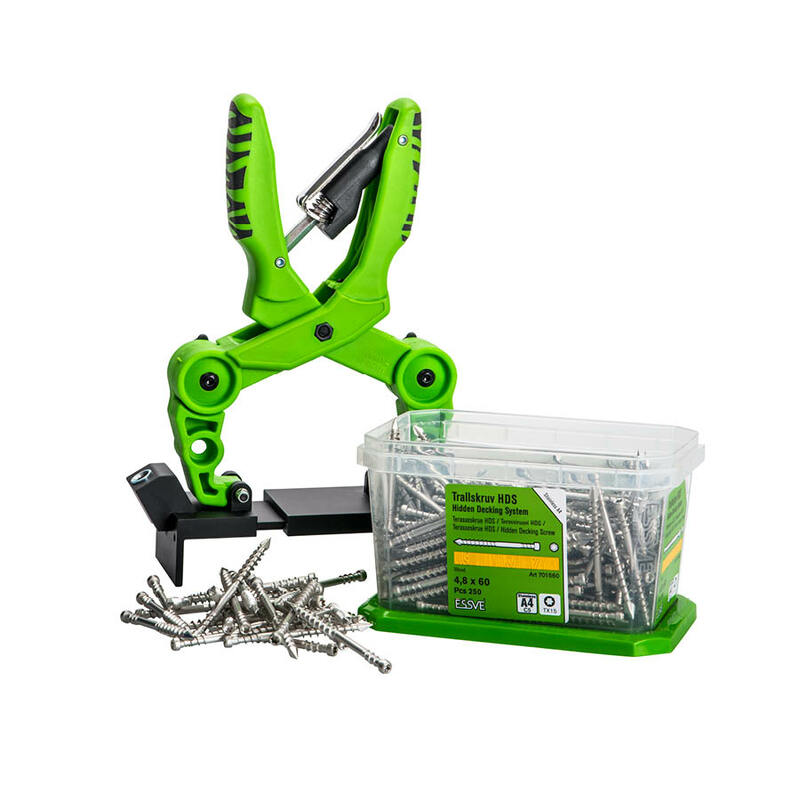 This is to have a grip on at least two of the walls to ensure the strength. Curved facades are usually made of lightweight aggregate blocks or light concrete. Try to get as deep as possible. You should preferably pass through the center of the stone. Concrete is the most suitable material to attach the girder to. Remember that newer bases often consist of about 1 cm of concrete followed by 10 cm styrofoam before it becomes concrete again. Be sure to anchor the girder in the inner concrete layer. The right choice of screws pays off! In order to avoid red rust in environments classified as aggressive, stainless steel deck screws are a must. Construction and choice of materials can also be crucial if the assembly requires stainless steel for maximum lifespan. 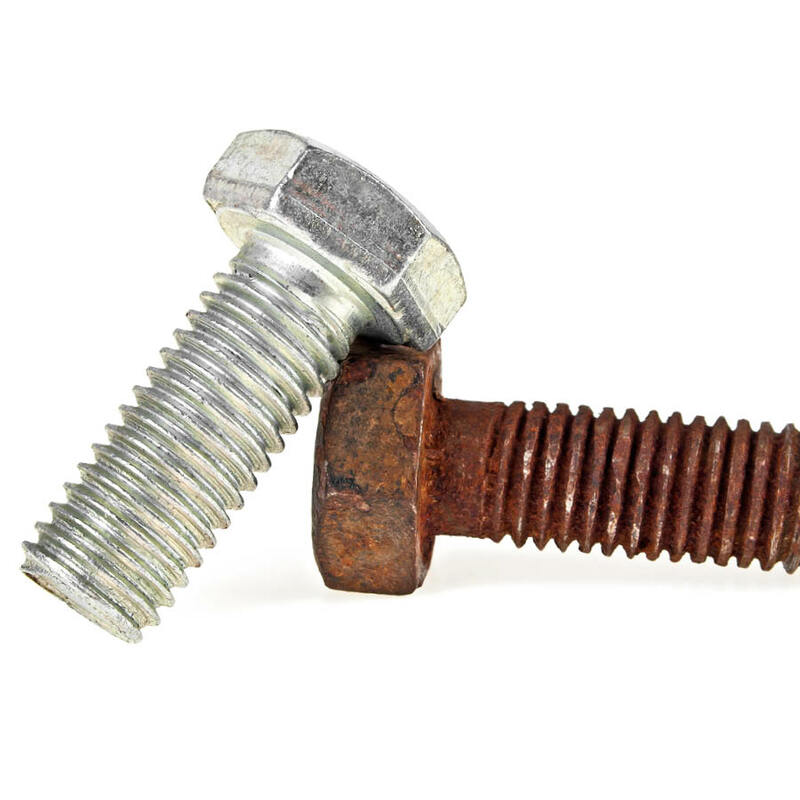 Non-stainless-steel screws or screws that lack the correct surface treatment risk corrosion (rust), which in turn can lead to fractures in the steel. 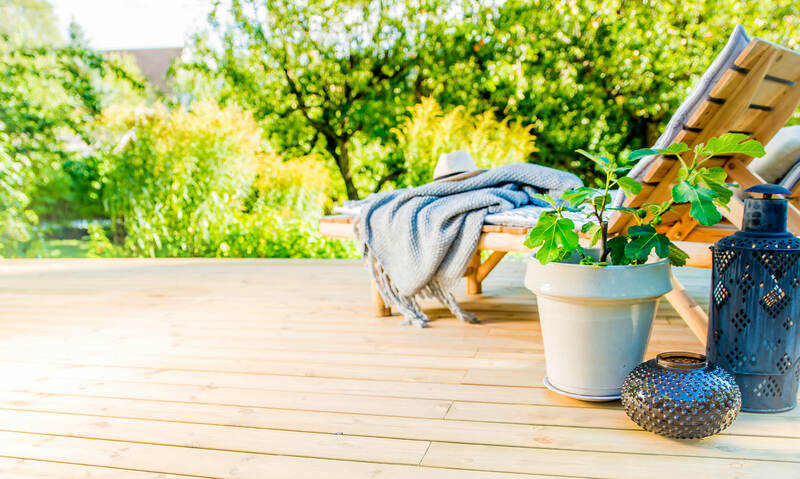 It is therefore important to choose the screw according to where, how to and with what you will build your wooden deck. • Coastal or near coastal locations, marine environments and docks. Since the wood deck in these environments is subjected to high levels of salt and moisture, which contributes to large movements in the structure. • Pool decks because pool water is more aggressive than normal water and the environment is usually more moist. • Decks close to entrances where thawing salt is used because the corrosive substances in the salt preparation penetrate the wood construction. • Wooden decks that will be washed, since the cleaning agents accelerate the degradation process of the screw surface treatment. • Large wooden decks, since the movements within the construction exert significant force. • Rails and stairs because the construction moves when used. • High above ground because the construction moves more than it would near the ground. • Below ground level because the corrosion risk is much greater. • Wooden decks made of exclusive woods such as teak, cumaru, organowood and Siberian larch, as these woods flex more. 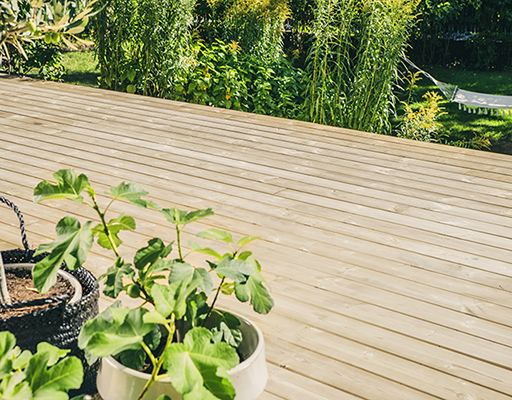 With our smart HDS – Hidden Decking System – specially designed deck screws are driven into the sides of the boards, resulting in a smoother wooden deck without visible screw heads. 1) Grip the plank with the mounting tool. 2) Place a screw into the hole on each end. 3) Angle the screwdriver so that the battery does not bump into the crossboard. 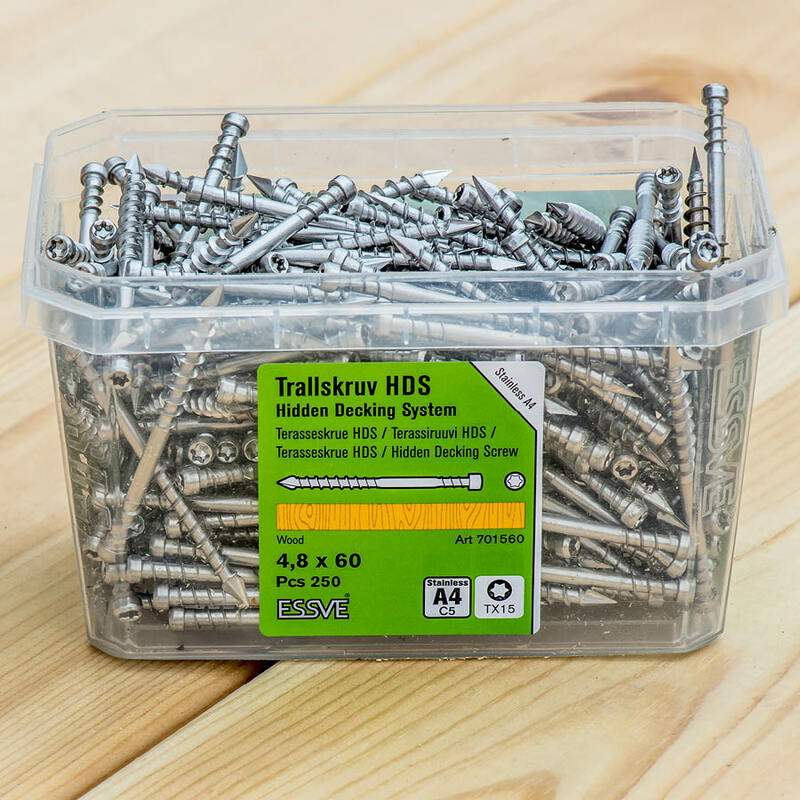 4) Drive the screws in with HDS bits. Always start with the outermost screw.